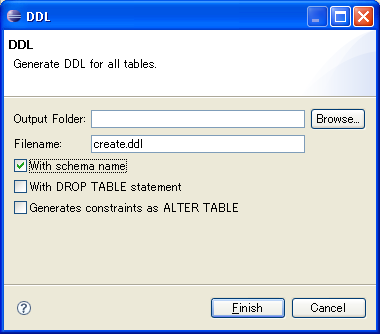 Logical table names and descriptions are added into DDL. AmaterasERD now provides ER-Diagram validation. It will help to keep consistency of your ER-diagram. You can execute validation by the context menu of the diagram editor. Errors are shown in the Problem view and tooltip on the diagram. You can configure validation settings in the preference dialog. If the diagram has a lot of tables, you'll want to split them to some diagrams. 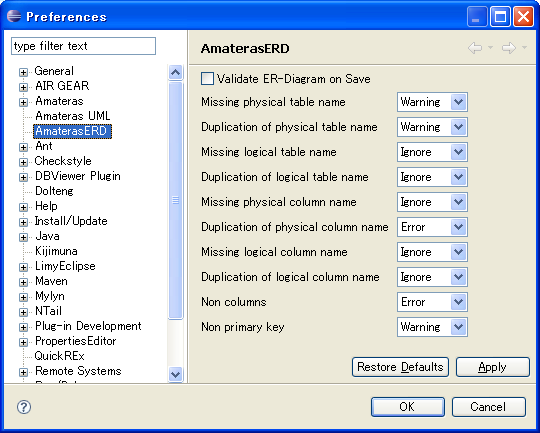 AmaterasERD 1.0.4 provides Linked Table for this purpose. Linked Table means a table which is imported from the other diagram. You can import from the context menu of the diagram editor. 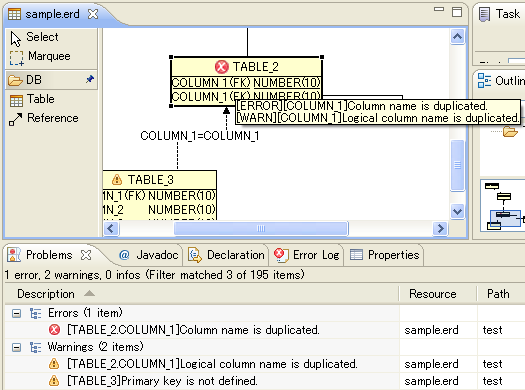 Linked Table is not modified in the diagram (it's shown as gray in the diagram), however you can define foreign keys to the Linked Table. You can copy and paste from the context menu of the diagram editor. Paste action does not copy relations and indices (it copies only table and its columns).